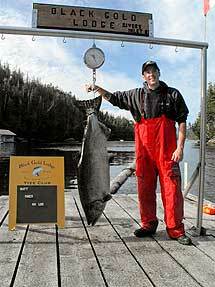 Our largest Chinook of the season, 66 lbs. of fighting fury!! Matt ‘s fish tops the chart and wins him a FREE trip back in 2011. Congratulations, Matt.